Eee! Look what I have! 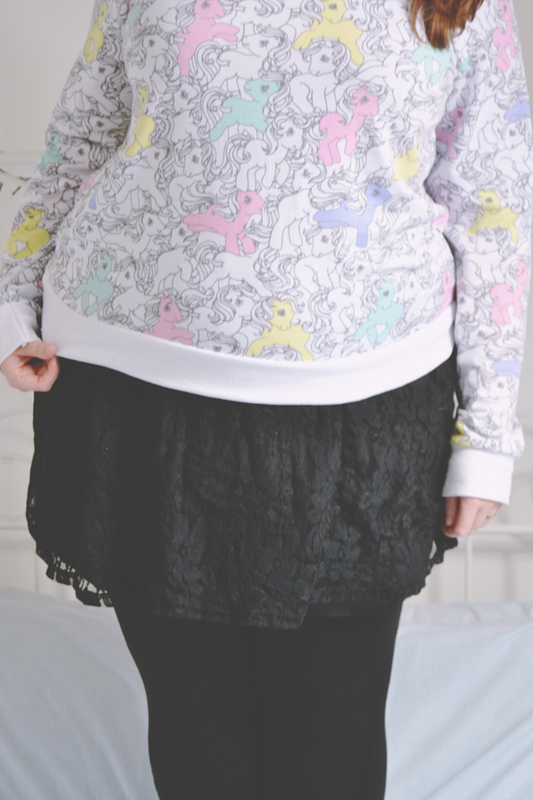 A My Little Pony sweatshirt to match my My Little Pony jacket! Would it be too much to wear them both together? Probably. Am I going to do it? Oh yes! It's so cute! I love how kitsch it is. The children in my class are convinced that these are unicorns, no matter how many times I point out the fact that they do not have horns. 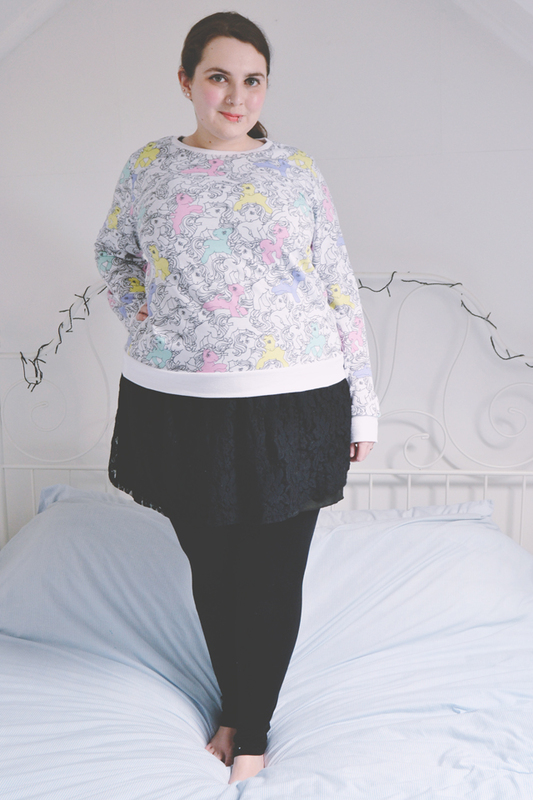 Oh well, it will now forever be my "Unicorn Top". There's so much amazing My Little Pony stuff in! Oh no! I haven't found it in any local Primarks. The only place I've seen it, where I got mine, was the one on Tottenham Court Road. "My little pony, my little pony, you'll always be my friend!" I seem to remember those being the words? Are they even the words to the song? They are now!! All I remember is "My Little Pony. Skinny and bony. Looked in a mirror. Saw a gorilla" Might have been a Farnborough thing. I didn't even know you had Primark in Spain! I love it so much! I had a little green My Little Pony on rollerskates when I was little. Haha they love my clothes! I get requests! "Miss, tomorrow can you wear your gold shoes?"